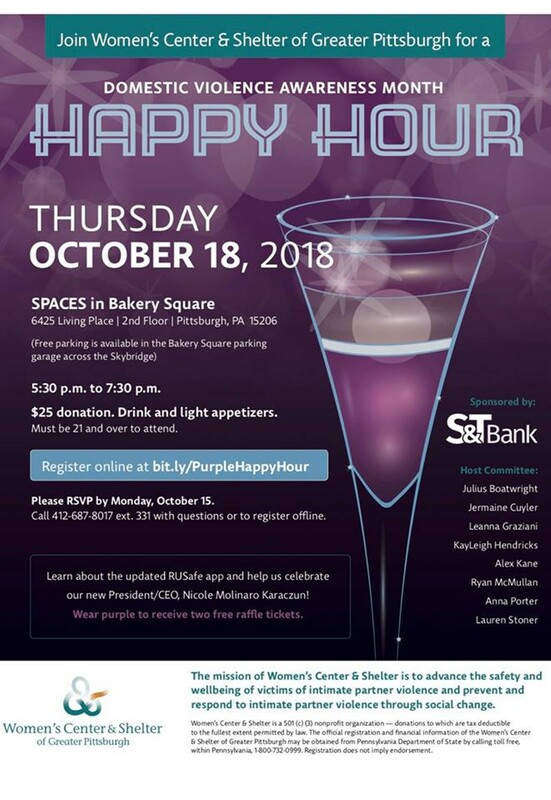 In honor of Domestic Violence Awareness Month, the Women’s Center & Shelter of Greater Pittsburgh presents a get-together to address a serious issue that affects millions of victims in the U.S. each year. Taking place at Spaces in Bakery Square, the event includes information about the updated RUSafe app — a free interactive app developed to assess potential danger in a relationship — and celebrates the appointment of the organization’s new president and CEO, Nicole Molinaro Karaczun. Includes drinks and light appetizers. Wear purple to receive two free raffle tickets.